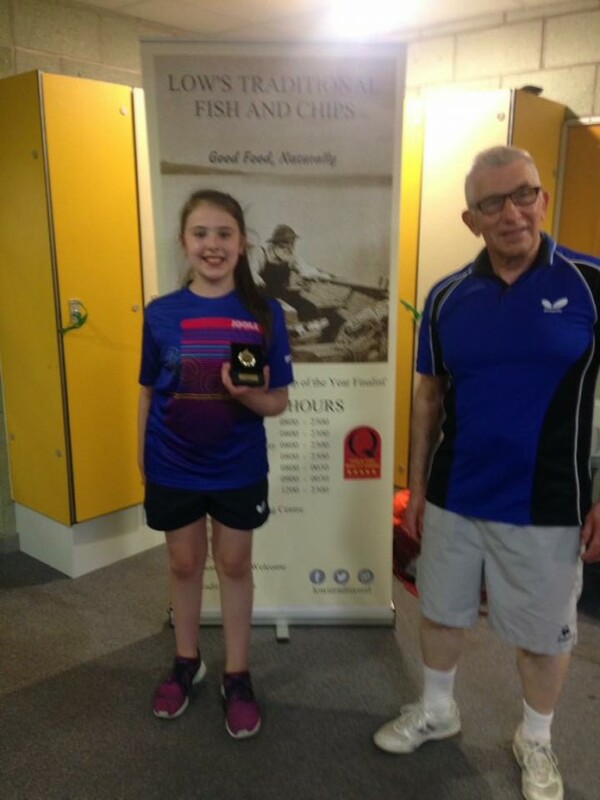 12 year old Holly McNamara was a sole representative of NATTC at the North of Scotland Open where she competed in the U13 Girls and U15 GIrls event. Holly performed brilliantly in Aberdeen, picking up her first national competition win as she won the U13 Girls event, notably beating Aberdeen girls on her way to victory. Holly who currently trains 3 – 4 times per week is enjoying her first season as part of the Table Tennis Scotland Development Squad and now is receiving Strength and Conditioning sessions at local gym Maximum Potential. This entry was posted in Latest News on 15th October 2016 by Chris Main.